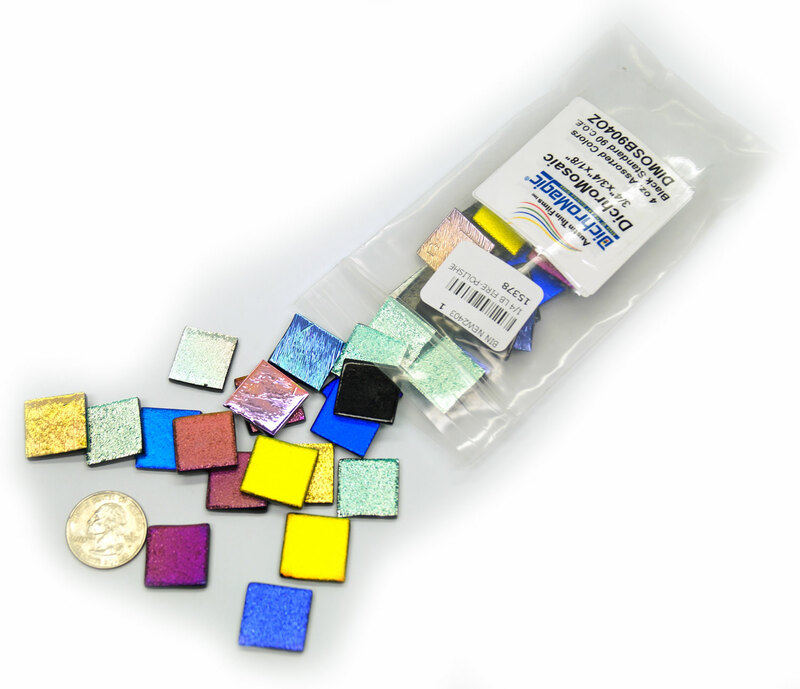 Pre-cut 3/4" dichroic squares make creating dynamic designs quick and easy. 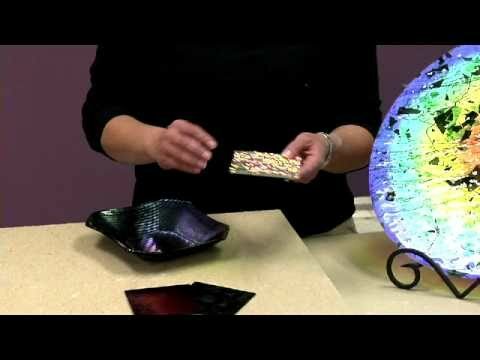 Create everything from jewelry to brilliantly accented fused glass plates. 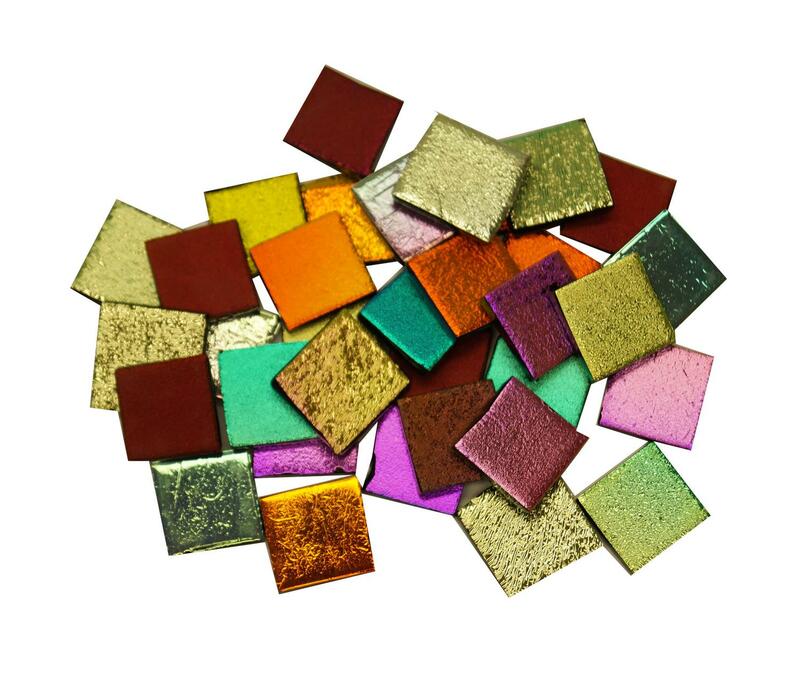 Pre-fired for scratch resistance. 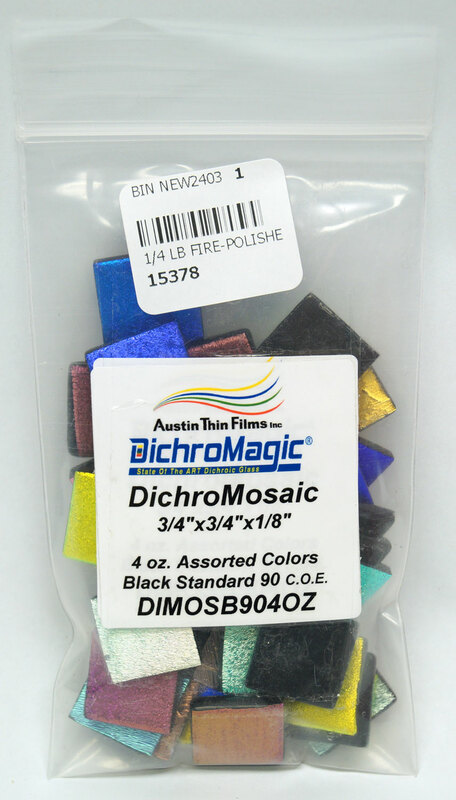 Assorted DichroMagic dichroic coatings on black. 1/4 lb. 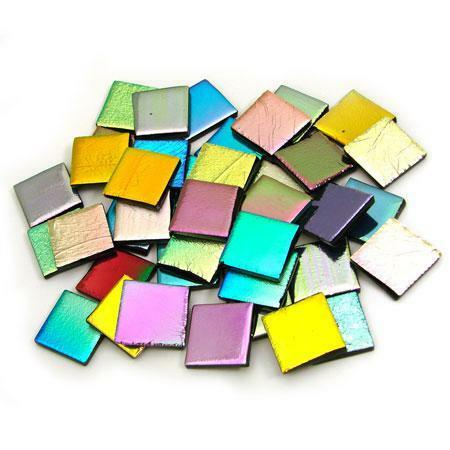 per pack (about 40 pieces). 90 COE. 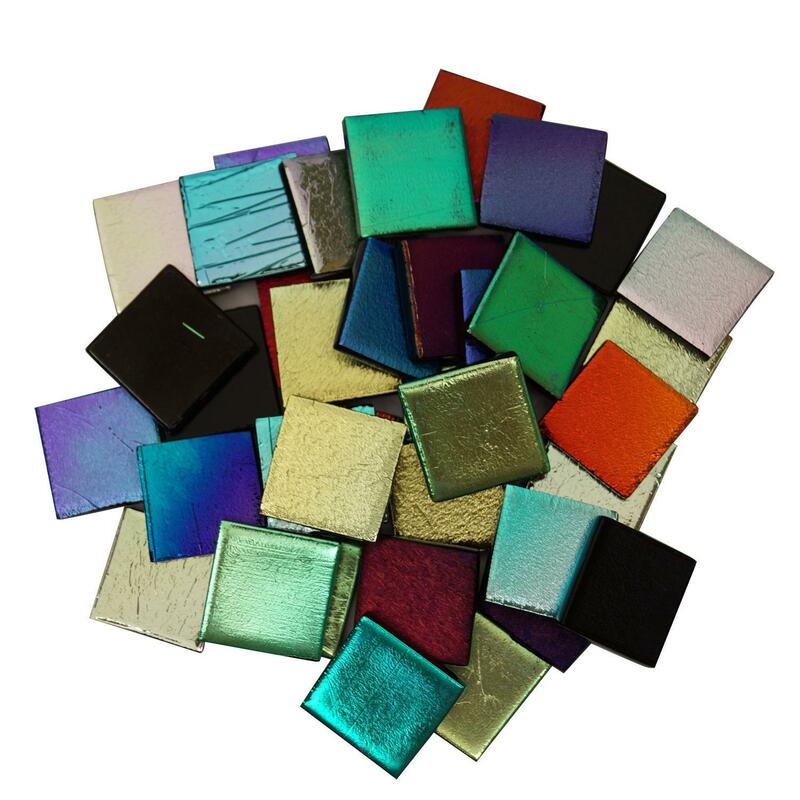 Observing a Kiln During Firing: What's Normal?